This film is the debut Malayalam film of Telugu actress Swati Reddy. The story revolves around the lives of few people around an ancient church..The film is scripted by P. S. Rafeeque, who also wrote Lijo's debut feature film Nayakan (2010). Abinandhan Ramanujam is the cinematographer who also wielded the camera for The Postman, a national award winning non-feature film from Chennai and shot the vivid TV series for MTV, The Rush. 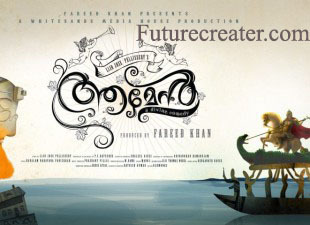 Amen is an Indian Malayalam romantic musical film directed by Lijo Jose Pellissery, starring Indrajith, Fahadh Faasil, Swati Reddy and Natasha Sahgal in the lead roles. Indrajith was selected play the role of Father Vincent Vattolli, the pastor of a church in a village called Kumaragiri. This film is the actor's third film with Lijo after stellar performances in the critically acclaimed Nayakan and City of God (2011). Fahadh Faasil plays the other lead character named Solomon, who is in love with Sosanna, enacted by Subramaniapuram fame Swati Reddy. Meanwhile, scripwriter-turned-actor Natasha Sahgal, plays Indrajith's love interest in this film. Swati Reddy will play the role of a singer, who is part of a choir. The movie Amen,s one the song "shap song" were taken in a single shot. The movie getting mixed report from theaters.... awesome movie..